The Conservative Party’s tactics have gone beyond the realm of acceptable partisan activity and are not just politics as usual, Montreal Liberal MP Irwin Cotler told The Huffington Post Tuesday. Many constituents in Cotler’s Mount Royal riding have complained they are receiving calls on behalf of the Conservative Party suggesting their MP has retired or is about to retire. The Tories have admitted they are behind the voter identification calls, but say those calling are only supposed to suggest there is a "rumour" that Cotler may resign and a byelection will be called. The Conservatives suggest their decision to mislead residents in Mount Royal falls outside the purview of the chamber and that it should not be up to the Speaker to rule on whether the tactics are unfair. “The day-to-day conduct of political parties should not be judged by the House or by its members,” Conservative MP John Williamson, a former director of communications to Prime Minister Stephen Harper, said in the chamber Monday. He added it should be up to Canadians to decide whether the calls go too far. “I, for one, would concede that political parties cannot say whatever they want and there must be some element of truth. Nothing here crossed that and although the calls were perhaps tough, they were still acceptable in the day-to-day world of political jockeying,” he later added. Cotler said he is not against the idea of Conservatives telling his constituents there is a rumour he may resign — although the rumour only exists, he said, because the Tories have spent years spreading it. Rather, he is upset because the Tories are insisting he is retiring. "To disseminate false and prejudicial information immediately breaches the privileges of Parliament because it sows confusion as to the identity of the MP and impedes the MP in his ability to perform his duties," Cotler added. If the Tories were not being adamant with constituents that there is an impending byelection, Cotler suggested, they would stand up in the House, acknowledge the wrong, blame "rogue callers" and ensure that it doesn't happen again. But the Conservatives haven't done so. With a federal election just wrapped up, Cotler believes the Tories are targeting his riding once again to divert his attention away from Parliamentary work, notably his fight against the crime bill and his work defending an Egyptian political prisoner who is on a 150-day hunger strike. 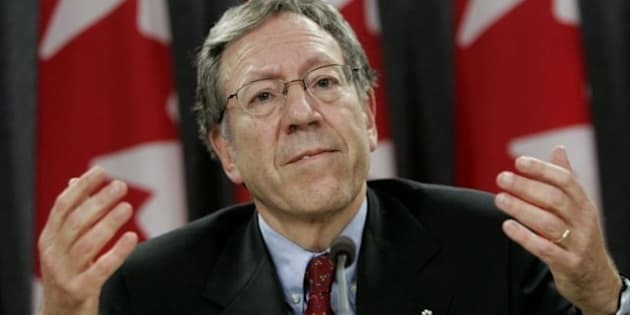 “The calls didn’t happen accidentally, they happened at a time when I was most engaged as an MP in matters that Conservatives most cared about, for example, the crime bill,” Cotler said. And despite Williamson’s assertions that the calls are business as usual or Government House Leader Peter Van Loans’ argument that it was the Conservatives' right of free speech, the Liberal MP and former federal Justice Minister doesn’t agree. “This defence that it is somehow a matter of free speech, that to me was one of the more absurd attempts to defend this odious practice. We have laws in this country against lying in order to protect the right to a fair trial, we have laws in this country against misleading advertising in order to protect consumers, we have laws against defamation in order to protect people’s standing and reputation,” Cotler said. It will be up to Conservative MP Andrew Scheer, the Speaker of the House of Commons, to draw the line and decide whether his party went too far.